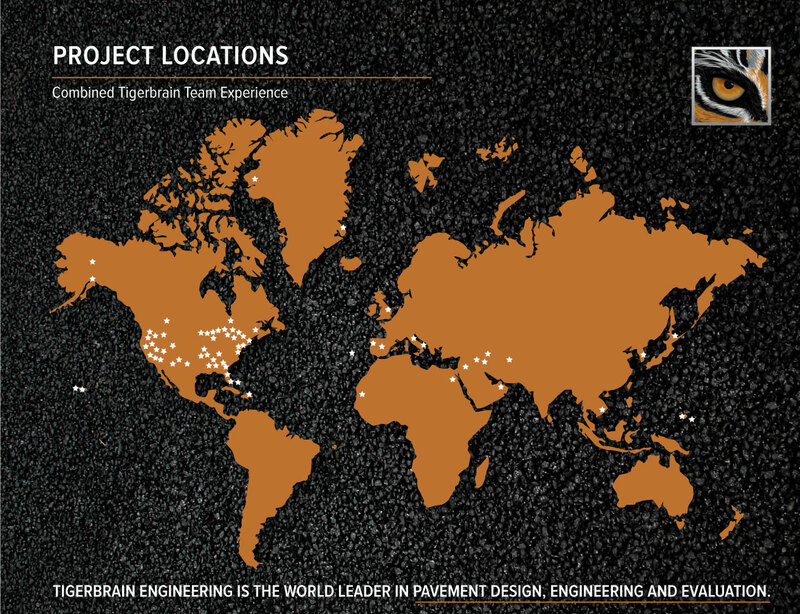 About Us – Tigerbrain Worldwide | Tigerbrain Engineering, Inc.
Tigerbrain Engineering, Inc. was founded December 7, 2000 by John R. Anderson, Ph.D., P.E. in Florida. The firm specializes in airfield/container terminal pavement and civil engineering. The company provides complete investigation, evaluation, design, plans, specifications, and construction inspection services globally. Client projects include runways, taxiways and aprons; rail intermodal terminals, seaport container terminals and major highways with unique challenges. Construction execution support includes periodic to full on-site inspection, support in concrete and asphalt mixture designs and paving. CONTACT US TO REQUEST A PROJECT PROPOSAL OR TO SCHEDULE AN APPOINTMENT. US Navy, Southwest Division, Design-Build through Baldi Bros. Inc.